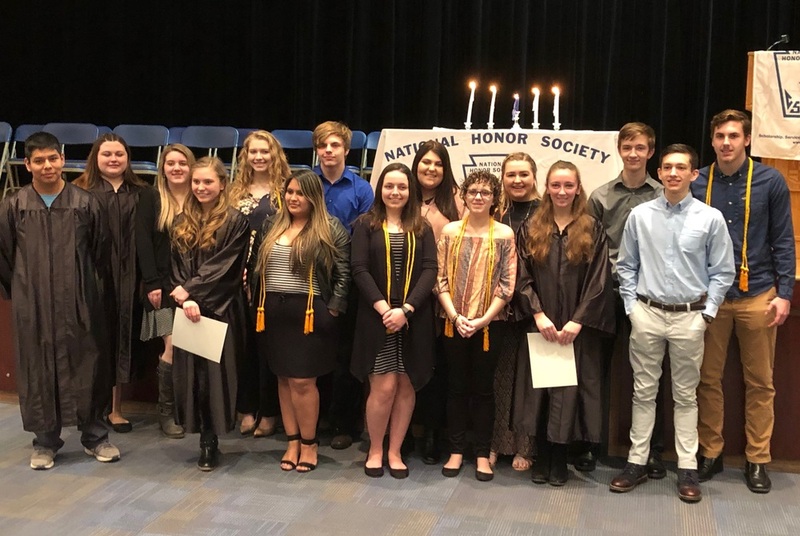 On Monday February 11, 2019, the Mount Morris CSD proudly inducted four new members into the National Honor Society (NHS). The District would like to congratulate juniors Danielle Callaro and Jose Coyote Medina and sophomores Evelyn Morf and JoAnna Regatuso on this incredible achievement. In addition, seniors Carmen Cruz, Danine Herrera Olivio, Justin Martin, Joelle Provino and Emily Sutherland were awarded their NHS gold cords which they will wear at graduation. These new inductees join an already elite group of students who continually demonstrate the highest levels of scholarship, service, leadership and character.